Before January comes to an end I wanted to share one of the other cards I made for a January birthday in the family, this time for my 3 year old nephew! 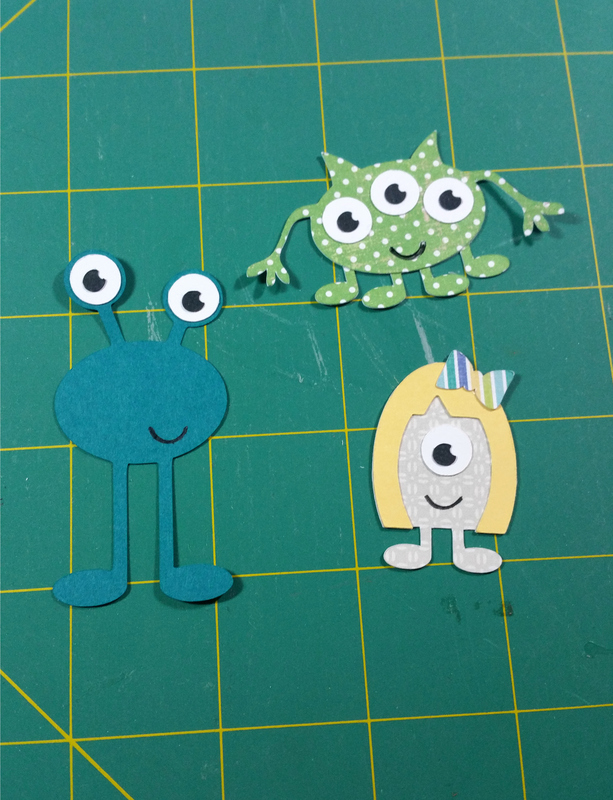 I decided to go with a cute monsters theme for his card, especially after finding this adorable shape set from Silhouette! I then used paper scraps, plus a balloon and Happy Birthday stamp from other stamp sets to complete the card. Isn’t it adorable?! This entry was posted in Cards/Scrapbooking on January 30, 2017 by Megan. 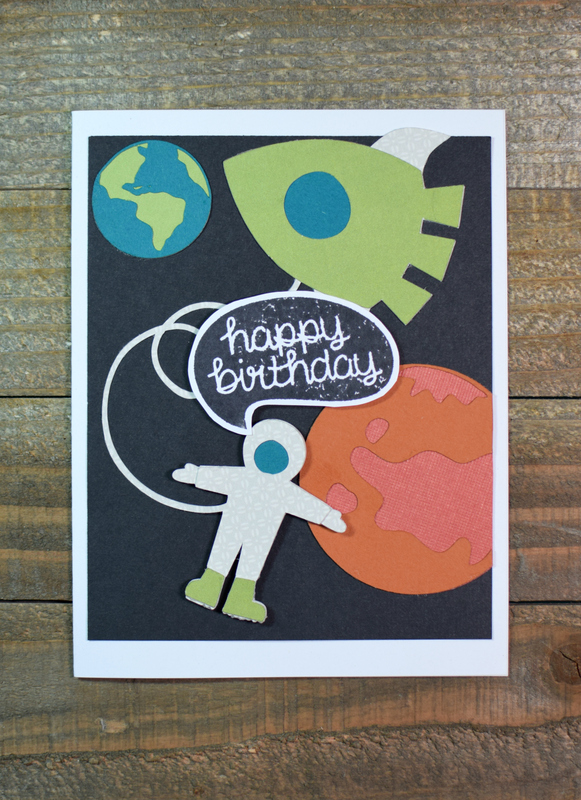 My newly 6 year old nephew loves all things space, so I knew for his birthday I had to make him a space themed card! However, I had no stamp sets with space, so I turned to the Silhouette Design Store to look for some space shapes, which I found here and here. 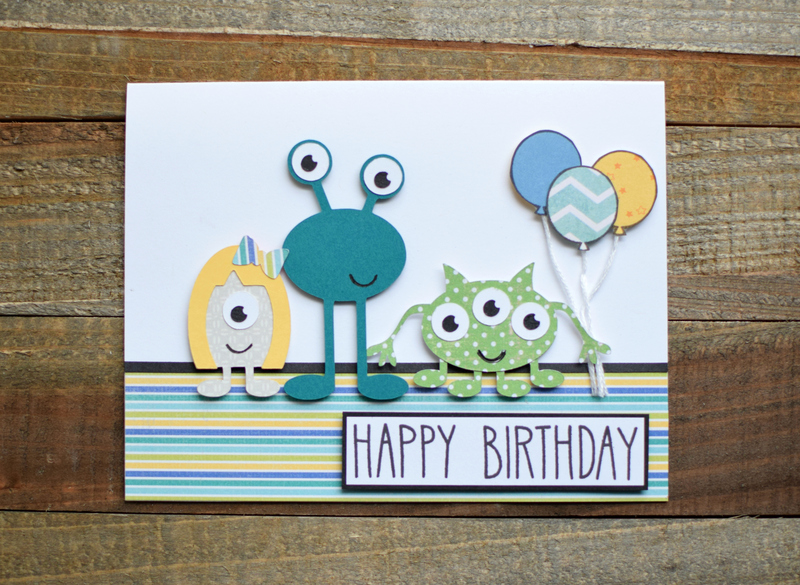 I left out some of the parts of the designs in order to simplify the card, and I also used the Happy Birthday stamp from Lawn Fawn’s Chit Chat set. It came together nicely (with a little editing on the Silhouette software), and it’s exactly what I envisioned! This entry was posted in Cards/Scrapbooking on January 27, 2017 by Megan. 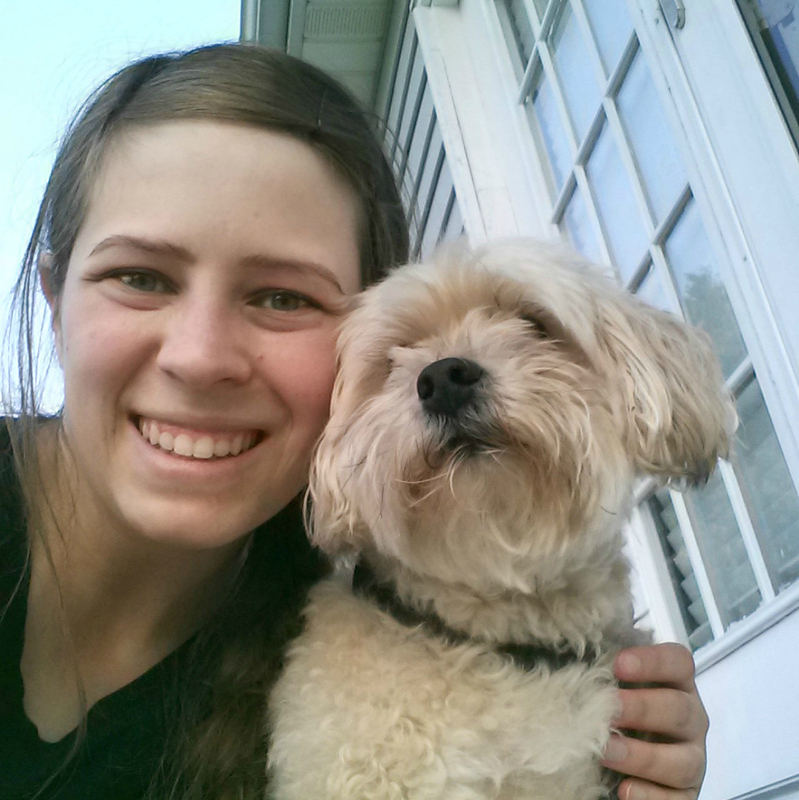 So much for keeping this blog updated the past month and a half! The holiday season became very busy and I didn’t spend my time creating very much, or at least documenting the things I did create. But it’s a new year and I’m excited to share some of the things I have been working on! I made this card a few weeks ago for one of my nieces whose 1st birthday was last week! 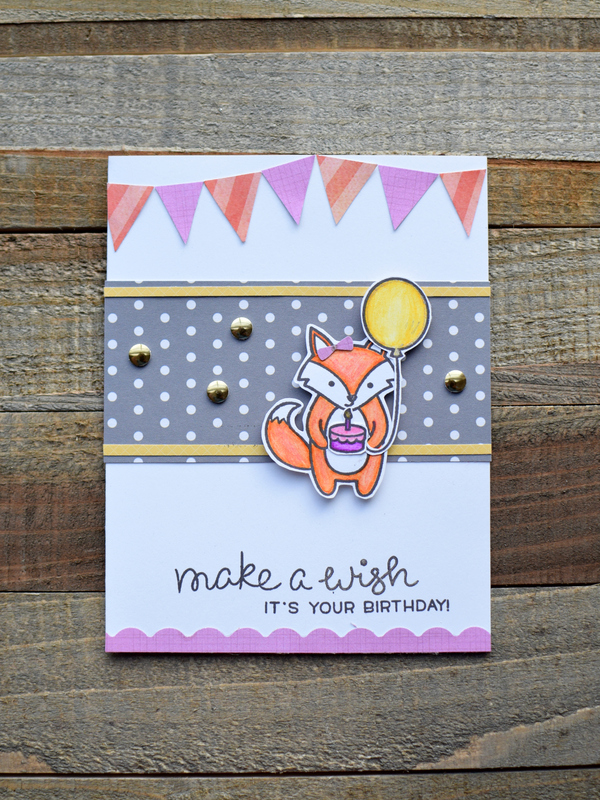 I used two stamp sets from Lawn Fawn for this card…Party Animal, for the fox and “make a wish” sentiment, and Jump for Joy for the “it’s your birthday” sentiment. I think it’s just darling, and love love love how it turned out!!! This entry was posted in Cards/Scrapbooking on January 25, 2017 by Megan.